All the Shpickles are free from sugar, gluten, soy, dairy, and wheat making them vegan, all natural and kosher. No artificial anything, ingredients you can pronounce and feel good about. 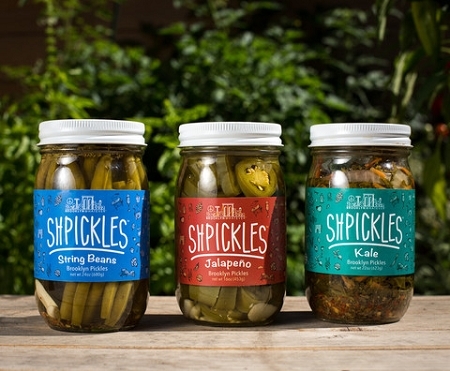 All Shpickles come in pint size jars and are sold in increments of three. Free handy Brooklyn Whatever tote bag with every purchase. 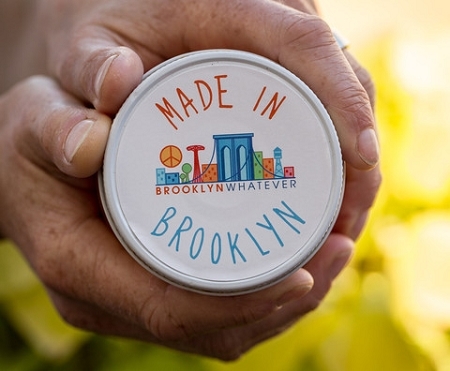 All made by hand and all made in Brooklyn, NY by Rachel and Abe, a mom and her son. Certified Brooklyn Made by the Brooklyn Chamber of Commerce. 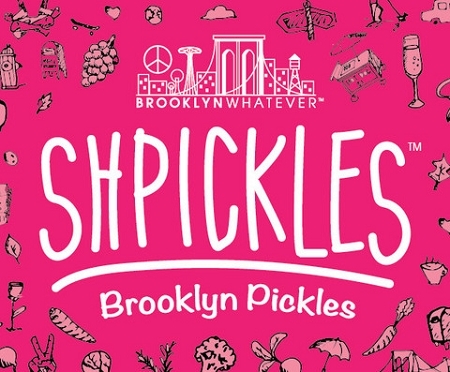 You can pick 3 of any Shpickles: Brussels Sprouts, Jalapeño Peppers, String Beans, Cauliflower, Okra, Kale, Carrot, Leek, Broccoli, and Beets. Broccoli has been misunderstood ever since kids slipped it to the doggie under the table. 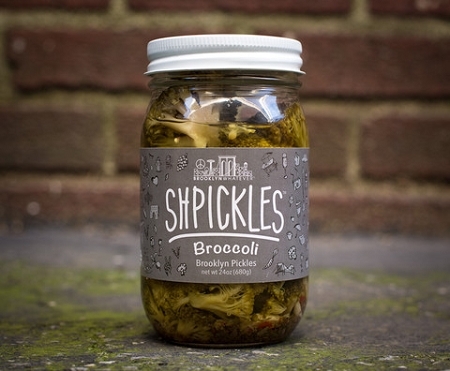 Our Broccoli Shpickles are amazing ! 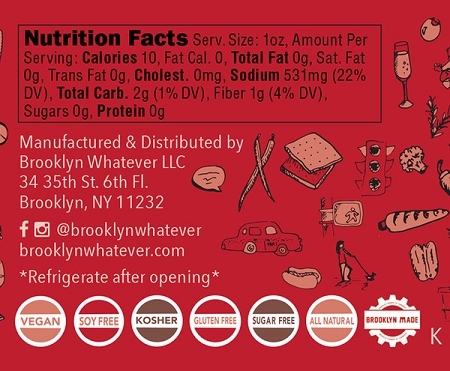 So good even the kids will eat them ! The kids favorite and many big kids too! 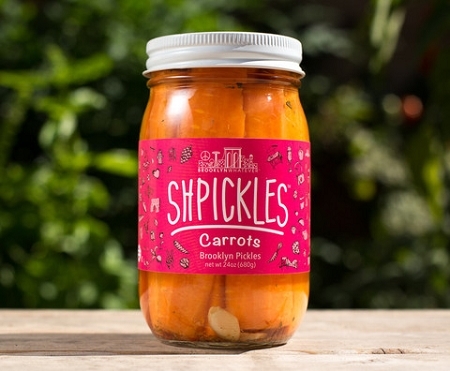 Beautiful fresh cut carrot sticks pickled to perfection. Carrots promote good vision and are a great snack anytime. 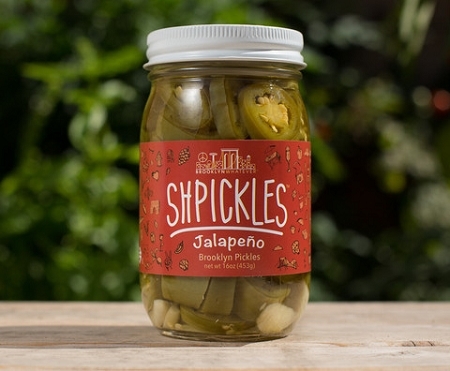 Perfect for lunch boxes. OMG they are pink ! 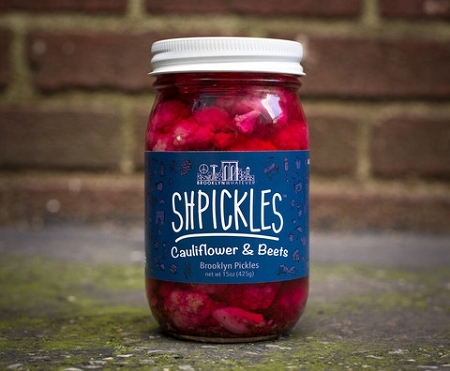 We add a hint of fresh beets and the cauliflower comes to life. This old family recipe will make your tummy happy. 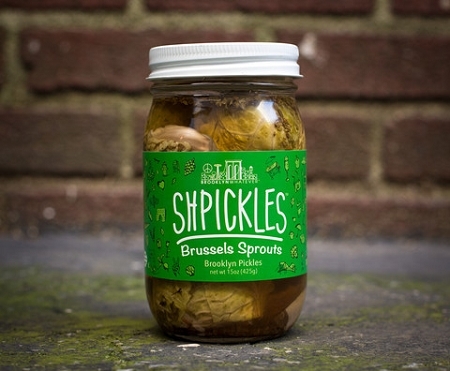 So good in salads or just by themselves when you are looking for a fun taste experience. 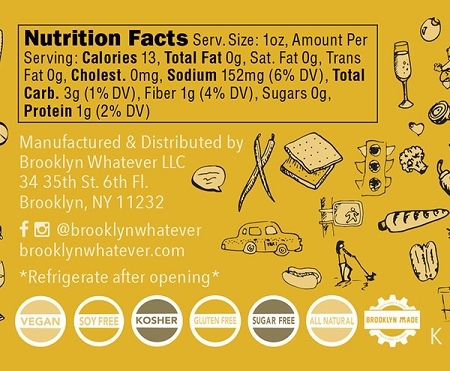 Rich in all the B vitamins. You can't get more healthy than this. 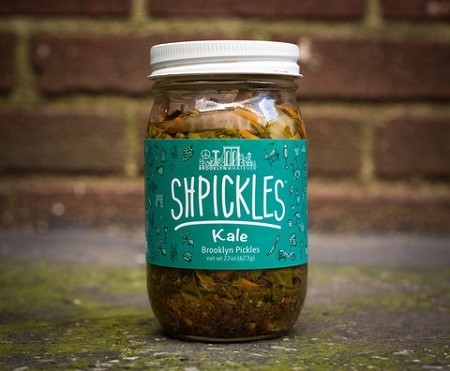 Kale the super food, high in antioxidants and pickle juice, is so good for you. Just the kale, a little carrot and onion. Your body will thank you ! 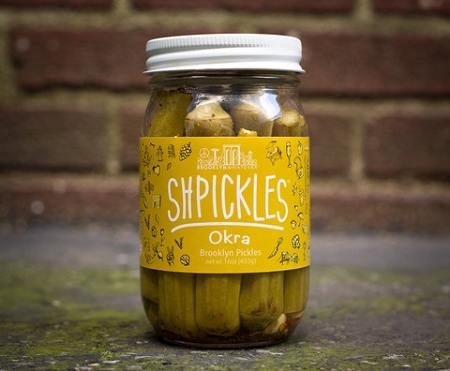 Okra the forgotten vegetable shines as a Shpickle. The crevices fill with the brine and its juicy and crunchy at the same time. Vitamin C and calcium are packed into okra and it's great in casseroles. 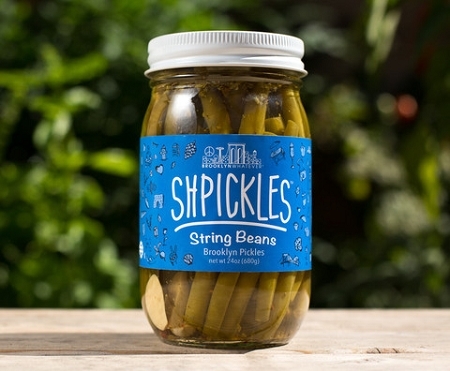 Hand snipped and covered with our secret brine recipe the string bean has a new image. Plain looking but one bite and you'll be hooked. The crunch ! The flavor ! And don't forget they are a great source of dietary fiber and iron. Not too long ago Rachel, the mom, was unemployed and Abe, the son, couldn't find the right job. The universe spoke quietly at first, then more loudly urging them to become partners and make food that makes people happy. They said it couldn't work, a mom and her son working together. A true family business expanding everyday as Rachel and Abe grow from being a mom and son to business partners blessed with a direction and purpose, committed to delicious, environmentally conscious products.